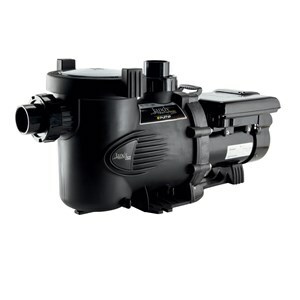 The results are in for our top selling variable speed pool pumps! Here are the models our customers have chosen repeatedly for energy efficiency and savings. 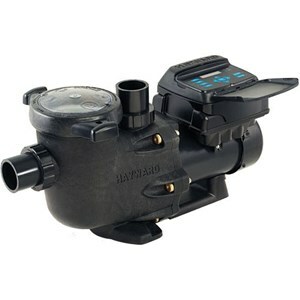 At 2.7 HP, the EcoStar offers more power than other Hayward VS pumps. Ideal for pool/spa combinations or the greater demands of water features. The SVRS model includes a safety vacuum release system. Digital interface with 24-hr timer can be rotated or completely removed from the pump for wall mounting. Multiple control options, as one would expect from the makers of the Aqualink. Has a built-in 2-speed timer and display, or can be tied into Jandy’s Aqualink RS and PDA systems. A third option is the e-Pump Controller remote control with a range of 200 feet. The e-Pump also accommodates larger pipe sizes. I work in a field where we use electric motors everyday. This Hayward variable speed motor has performed flawlessly. I have personally installed some of these pumps in southern CA and they are excellent. Every install saves $55 - $105 a month. Pump is almost silent. Port Size: 1.5" Port Size: 2” x 2.5” Port Size: 2” x 2.5” Port Size: 2.5" - 3"
One of the first variable speed pumps on the market and a reliable best seller for years, with several versions for different needs. The standard model has 8 speeds, the VF model has 16 speeds, and there is also the VS+SVRS model which includes a safety vacuum release system. 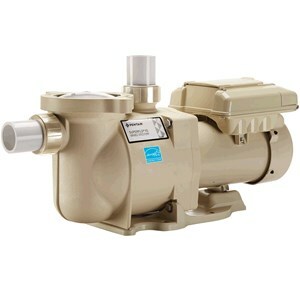 What's Special: Pentair designed the original single speed SuperFlo as a drop-in replacement for the Hayward Super Pump, and now the VS model offers a variable speed direct replacement as well. It features 3 speeds along with a built-in interface with timer. 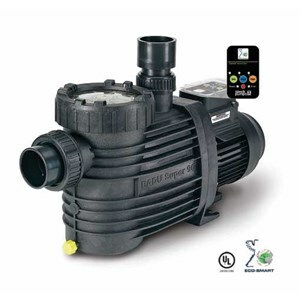 What's Special: Offers a simple, 3-speed pump option for residential pools. 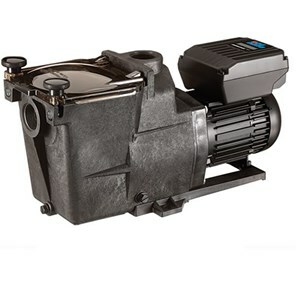 Features a specially designed shaft seal which allows the pump to run dry for up to an hour, and an integrated controller to select speeds (low, medium, high). Speck also offers a longer warranty than the industry standard. Customer Quote: The pump is a very nice quality made pump. It is economical to run and easy to program. Customer Quote: Great product. Very light. Love the automatic control that is attached. Easy to install. I’m having difficulty sourcing technical specifications on pump port size and tread specifications. One manufactured sent a drawing that indicated the details as ‘matches supplied adapter’. For the record there were no data on the supplied adapter. Where can I get accurate specifications as this seems to be common with both pump manufactures and vendors. What is the pump model for which you need dimensions? I bought a variable speed pump and had a intermatic timer from my old pump .well the plastic broke and stopped working can I bypass the old timer .because the new pump as you know has its own timer built in . Yes, you can bypass the timer, by simply hardwiring it to the breaker. You are the pool Guru! I have never seen such usefull and practical information regarding pools and pumps in any one place for any trade that I have experienced, in over 40yrs in the field from aircraft to nuke power plants to restaurants! Very well done, light years ahead of I! 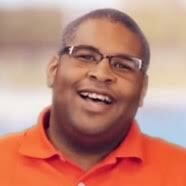 If in the Raleigh, NC area, may I recommend a reputable full service, pool/pool maint/pool service company? That would be “Rising Sun Pool”, a very quality pool company, personally used and never a negative word. How do you determine what size pump you need for a given pool? My pool is just shy of 19K gallons and currently has a 1HP single speed pump. I purchased the house a few months ago and realized that the filter the previous owner recently installed was too small. It was a Pentair Clean and Clear 75. I have since replaced that with a Clean and Clear 150. My problem now is the filter is not staying full of water during operation. I can purge the filter until its full, then come back and house later and 1/3 of the filter is full of air again. Is this due to the pump being too small for the filter or could there be another cause? I do not have bubbles coming out from any jets. I’ll take a guess and say the issue is not with the pump size but more with a sucking air leak. if your filter system is dropping pressure, and you are seeing large air pockets in your pump strainer lid, air is the culprit. Ideally, a pump/filter system should be devoid of air except for a few nickel-sized bubbles. Here are a how-to guide and video on how to identify and correct air leaks in your pool.